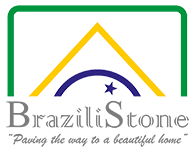 Are you looking for premium quality slate tiles for your garden? 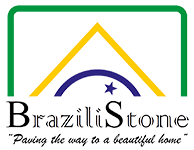 Brazilistone only ever handpick the highest quality slate tiles for your home and garden. With our slate paving slabs and wall cladding, you can bring a stunning look to your outside space. Famously used as a roofing material, slate is increasingly popular for indoor tiling and garden projects. It is not only extremely beautiful but highly resilient and can last for decades. Our Outdoor Paving Collection is fully tested to suit all weather extremes, from torrential rain to freezing Arctic conditions. Sourced and improved from quarries in Brazil, these beautiful slate products are available at highly competitive prices. With a wide range of colour options and sizes, you can easily find Brazilian slate tiles to suit your project. Whether you would like a uniform pattern or more creative look, we can help you create your perfect tiling this winter. With our versatile and hard-wearing paving solutions, you can easily transform your space for the better. Our products for the garden include Black Paving Slabs and Grey-Green Paving Slabs, so whatever colour you’re after, we can help. We have a showroom based in Oxfordshire where you can visit by appointment. For more about our Brazilian slate tiles, simply get in touch today. +44 (0) 1235 848 858.